…a young Italian expatriate had in mind a romantic weekend in East Coast, but at the last minute the girlfriend changed her mind! He had to revise his plans: the chalet was already booked (and paid), so why not ask to a group of Italian friends and acquaintances to join him and gather together for a BBQ party during all the weekend? Maybe it was not romantic, but new friendships were established! The BBQ party was successful and the group of enthusiasts new friends decided to repeat it and organize other similar events as “Aperitivo” to offer an opportunity to Italians, either just arrived in Singapore or living here a growing community, and Singaporeans keen to know more about Italy and Italians to gather together in an informal way. Since 2012 more than 13 BBQs parties have been organised and even more then 50 Aperitivo! At the end of 2014 the idea of a more formal organization came up and, over friendly meeting at each other’s home for an Italian dinner, brainstorming on how to set an ‘Association’ and its activities quickly followed up. Other Italians were invited to join and bring their contribution of ideas and proposals, and in few months the idea was finalised: the Italian Association of Singapore was born! Follow the official logo at foundation of Italian Association of Singapore 2015 up to 2017 designed by Huang Eu Chai. 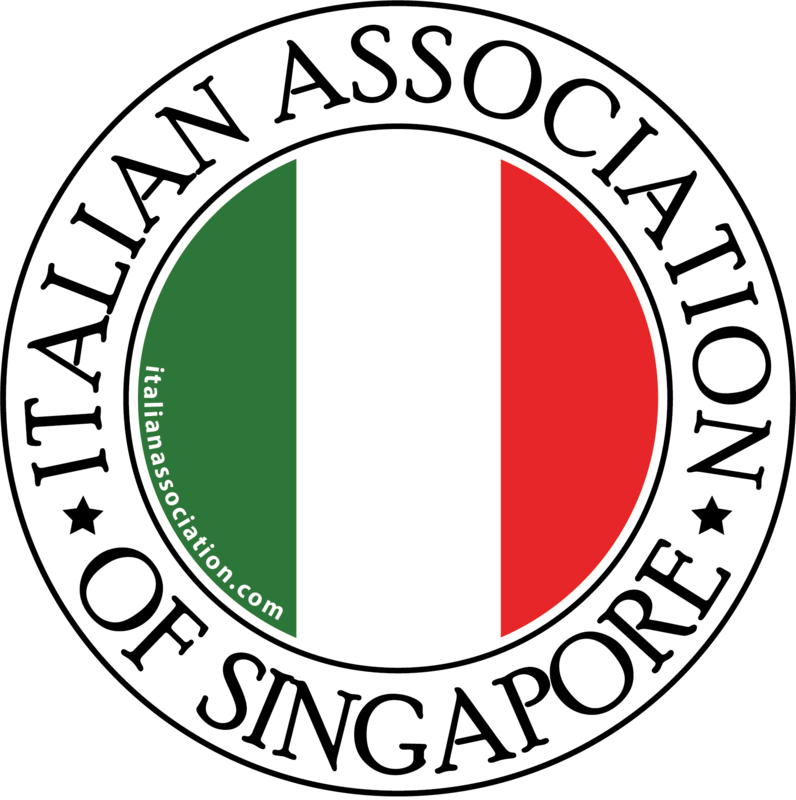 Follow the new 2018 Official Italian Association of Singapore logo, approved by Registrar of Societies of Singapore designed by Jacopo Artemio Morotti. Thank you Alberto Forchielli, our Mentor; thank you Omar Bassalti, the pivot of the group; thank you Stefano Neri, for mediating the various different point of view; thank you Fabrizio Righi for your initiatives. Thank you Huang Eu Chai for the logo design idea and the Association name; thank you Giorgia Brusadin for the patience to follow all the requests to modify the forms, the sketches, the stickers, the design of the cards; thank you Ludovica Girardo, Daniele Poli and Maurizio Castorina for your support and event coordination; thank you Attilio Rapisarda for the legal matters, thank you Antonio Bottiani for your wise advices, thank you to all the people who contribute to this dream to come true! 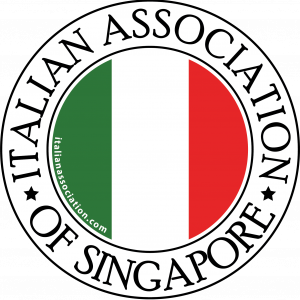 We report here the list of Notable Founding Members of Italian Association of Singapore. In April 2015 a big group of Italians and Singaporean citizens founded the Association providing a symbolic amount of money. This is done for the glory and for the future of Italian community in Singapore … long life to the Italian Association of Singapore!